Felafel is a traditional Arab food.Felafel is a lebanese deep fried balls or patties made from white chickpeas. 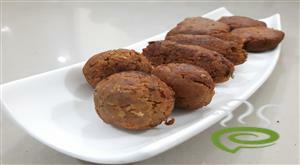 Felafel csn be served along with hummus and tahini sauce. 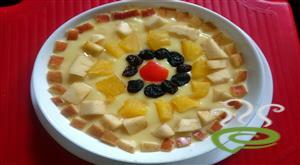 Mahalabi With Fruits-A Middle Eastern Dessert of boiled milk,slightly sweetened and flavoured with pineaple essence.Mahalabi is a thick custard milk pudding ..It is extremely easy to make,takes only a few minutes.then placed in the fridge to cool. 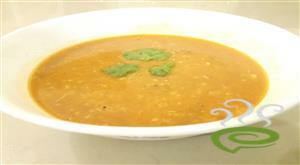 Apple ragi porridge is one of the easiest and healthy ragi recipes that one can include in the diet. It makes a good breakfast not only for babies & toddlers but to every one. Since refined sugar and salt are not recommended for babies under one year here we didn't add any sweet to the recipe. The natural sweetness of apple is enough for babies. It is optional to add jaggery or cinnamon powder to enhance the taste. Al Faham Grilled Chicken is a popular Middle Eastern tasty dish. Al Faham Grilled Chicken is marinated with Arabian Spices named Bezar along with other spicy ingredients and grilled until done. The dish is a hot favorite that blends perfect with kubboos and other Arabic dishes. Chicken is nutritious and rich in nutrients. 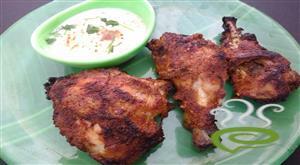 Al Faham Grilled Chicken is very easy to prepare and you will love the dish. You can explore a well detailed Al Faham Grilled Chicken here. 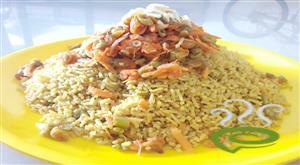 Kabsa is commonly regarded as the national dish of Saudi Arabia. 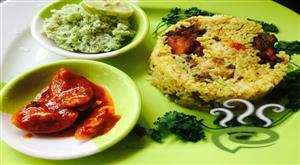 A traditional rice dish similar to a biriyani,typically made with lamb or chicken. This is the vegetarian version of Ksbsa. Muhallabia is a middle eastern milk pudding. Muhallabia is a traditional Arab dessert. 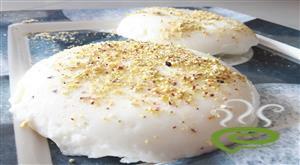 Muhallabia is awfully good and easy to make .Muhallabia is delicate,silky and sweet. 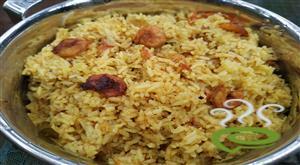 Home Made Chicken Kabsa is a traditional Saudi dish prepared with chicken and rice. 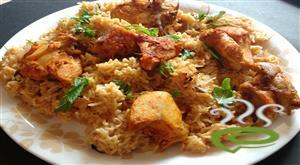 You will find lot of variations while preparing Home Made Chicken Kabsa. Home Made Chicken Kabsa is unique and tasty with Kabsa spice marinated chicken pieces cooked with rice and seasoned with spicy seasonings. 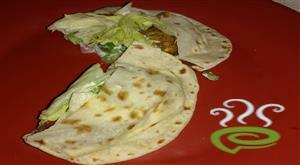 The dish is very popular and the flavorful aroma is simply irresistible. The dish is wholesome and nutritious and requires very little time for preparation. 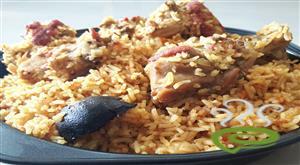 You can discover a well detailed Home Made Chicken Kabsa here. Al Faham Chicken is a specially grilled Arabic chicken dish very tempting and flavorful. Al Faham Chicken is very popular in Middle East prepared from a specially ground Arabian spice mix. 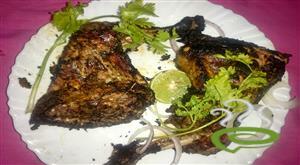 Arabian spice mix is also termed Bezar and the dish can be barbequed either in oven or charcoal grill. Al Faham Chicken dish is unique and special with chicken pieces marinated in a specially prepared marinade for a minimum of 2 hours and grilled simultaneously. You can explore a well detailed Al Faham Chicken dish here. This is middle east recipe. this is very famous in all road side Shops in middle east countries. its rich protein and carbohydrate. 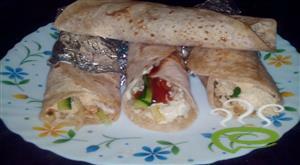 its added in pocket of pita bread with falafel and hummus. 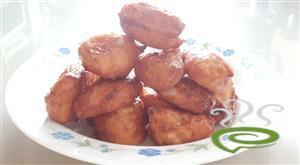 It is a traditional Arabic sweet dumplings. It is a common Ramadan dish among Arabs.